So a couple days ago I wanted falafel and put some chickpeas in a bowl to soak, then I forgot they were in the fridge. And because I forgot about them I never went to the store for cilantro and parsley. Discovering the soaked peas today I wanted falafel again, but still no cilantro or parsley. So I went out to my garden and picked a bunch or basil and some peppers, I also found some shredded asiago in the fridge. So I used these ingredients instead of the traditional ones. I also made them into full sized burgers instead of nugget sized. Anyhow, this recipe is the result. Really delicious. Healthy. Simple to prepare. 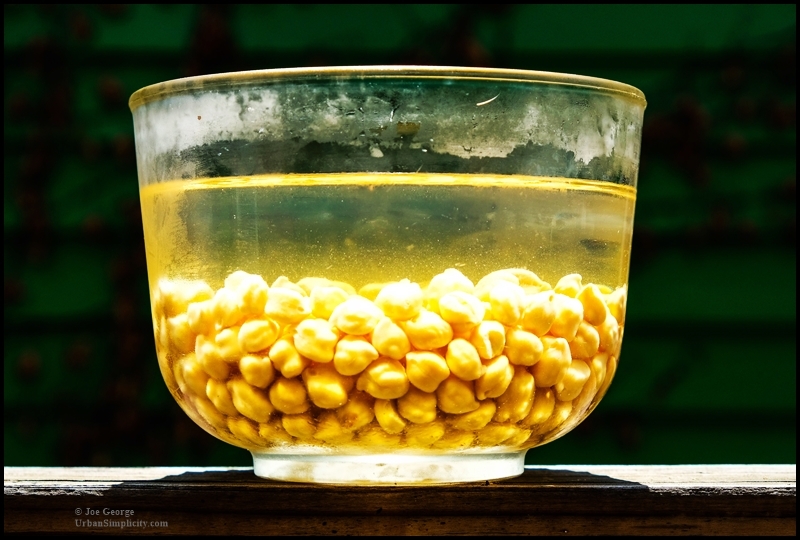 Combine the chickpeas and water together in a bowl overnight and leave them at room-temperature to reconstitute. The next day drain the chickpeas, reserve ¼ cup of the water. 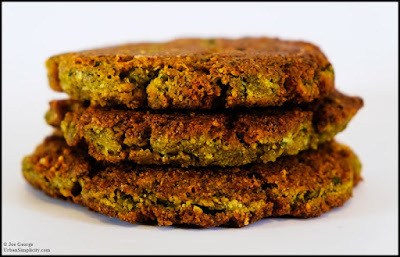 In the bowl of a food processor, combine the soaked chickpeas, ¼ cup of reserved water, onion, garlic, jalapeno, basil, asiago, salt, turmeric, and baking powder. Process until a mealy consistency then transfer to a bowl. Mix in the flour, cover and let rest for about 10 minutes. Shape into patties, preheat about a half-inch of oil in a skillet, and pan-fry (in batches) on both sides until golden and cooked through.